(C) 2009 FrontalCortex.com, All Rights Reserved. FrontalCortex.com authorizes the reproduction and use of this image for any educational, noncommercial purpose, so long as the image is not altered and appropriate credit is cited to FrontalCortex.com and to the creator of the image. 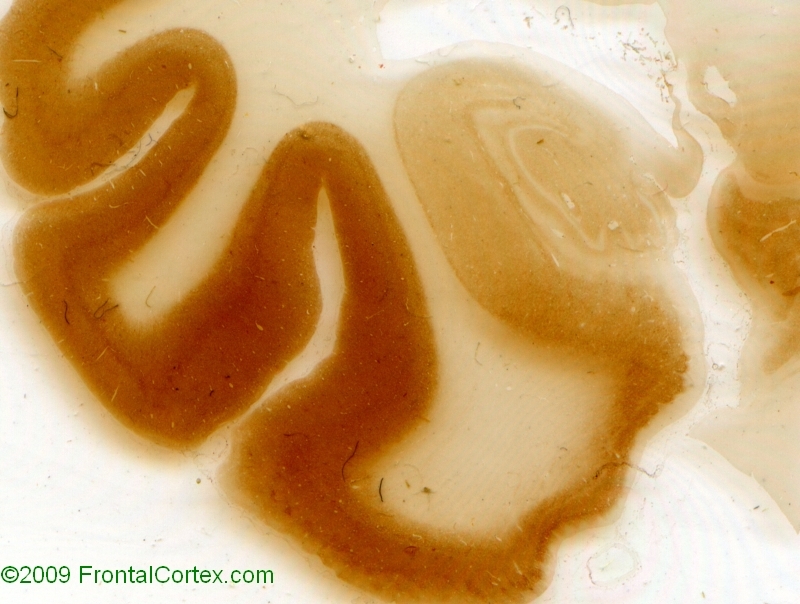 This is a section of hippocampus from a patient with a prion disease.